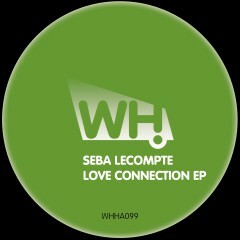 Seba Lecompte started collecting vinyl in the early nineties. One of Belgium’s finest and hardest working DJs, he is the guy behind the legendary Bang The Box parties at Decadance in Ghent and also plays regularly across Europe. His first release came out in 2004 and up until today, he has slowly made a name for himself with releases on Recode Musik, Polar Noise, Gotham Grooves and Ion Music. Love Connection EP features two solid originals for the dance floor and is backed up by the stunning deep and lush remix by Phasen.